What should the ROI on dental marketing campaigns look like? What types of dental marketing campaigns should you consider? Which dental marketing campaigns offer the best and most trackable ROIs? When it comes to marketing your dental practice, you have a few options. You can spend your budget on a wide range of options, including direct mail, billboards, online marketing, or even TV and radio advertisements. But what’s going to give you the biggest ROI? 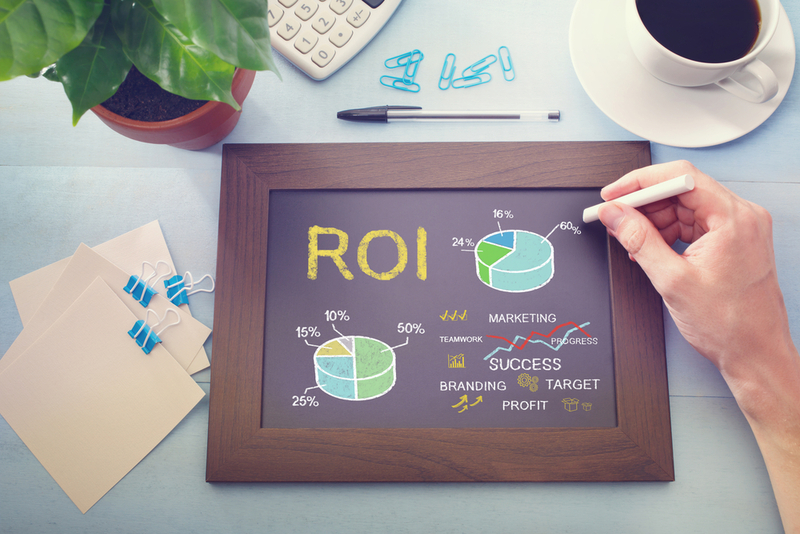 There are many ways to measure ROI for a dental marketing campaign, but the two numbers you want to look at are your initial investment and the increase in your monthly revenue generated by new patients. At most practices, the average patient generates around $1,000 of additional revenue in their first 6 months. DentalMarketing.net makes it easy to get an accurate ROI figure, as we track all calls that come from your campaign using a specialized call tracking number. In addition to tracking, our team listens to and evaluates each and every call. That means you get an accurate picture of new lead conversions generated by your marketing campaign, at which point you can apply your new patient revenue estimates and calculate your profits. When considering dental marketing options, it’s important to consider the transparency of the campaign’s results. While this is generally easiest to control when completing the work in-house, that’s usually not feasible for most practices. At DentalMarketing.net, we differentiate ourselves by providing real-time, cloud-based dashboards that display all of your campaign’s metrics. We give you full access to your appointment, call, and ROI data, so that you have everything you need to make intelligent decisions regarding the growth of your practice. Out of all of the possible campaign strategies, we recommend postcards. Why postcards? Through our years of experience, we’ve found that postcards offer several value propositions for minimal investment. Targeted dental postcard campaigns have the following benefits…. Postcards are a great way to improve brand awareness in your community. Everyone needs a dentist, whether they like it or not. Even if a potential patient isn’t currently in the market for a new dentist, a postcard may help them to remember your name in the future. A well-designed dental postcard allows you to create a great first impression of your practice. From the feel of nice, heavyweight card stock, to the look of the postcard’s design, you can communicate to your customers that your practice values quality and professionalism. Although postcards and direct mailings are a fairly “low-tech” marketing technique, there’s actually a surprising amount of customization available when creating your target customer base. Using our proprietary software, we can create a targeted mailing list and demographic report for the area surrounding your practice. We can adjust every aspect of your campaign to reach your ideal customer. Having mailed hundreds of millions of postcards and scored millions of phone calls over the years, we can statistically stand behind our 100% money-back guarantee! Our clients average a 403% ROI with our direct mail program, based on the national averages of a 55% close ratio on new patient phone calls and each new patient averaging a $1,000 value over the first year with a practice. A great dental marketing solution will not only offer you an amazing ROI, but will also focus on building relationships with patients and growing your practice for years to come.